Women are told to step up and lean in...but how? Every day, talented, hardworking women are passed over for promotions. While it's easy to blame a corporate culture that favors men, seasoned executive Grace Killelea identifies another culprit: a surprising disparity in confidence. Men are prone to overestimate their abilities, while women too often sell themselves short. 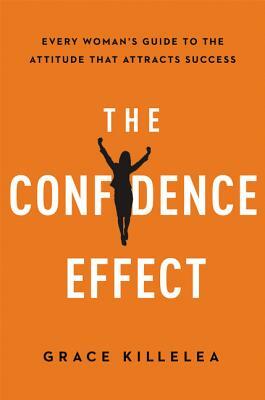 The Confidence Effect helps women speak out, take risks, and assume leadership positions with assurance. The book moves beyond research and statistics to focus on what's really important: how women can become more confident, one step at a time. Practical strategies show how to turn job competency into the kind of authentic confidence that gets noticed. Women learn to practice the Four Rs of Success-relationships, reputation, results, and resilience-dipping in for tips and tools on how to: Build circles of influence * Seize opportunities they normally avoid * Leverage and promote their skills * Cultivate executive presence * Use data compellingly * Bounce back from setbacks * And more With this powerful new book, women everywhere will find the confidence they need to step off the sidelines onto the playing field-and claim the success they deserve. GRACE KILLELEA founded the GKC Group to help women with leadership development and personal branding, and is a sought-after keynote speaker. Previously, she was senior vice president of talent for Comcast, and held executive positions with Lifetime TV and SBC Communications.